SOUTH HOLLAND, IL – The South Suburban College Foundation (SSCF) is seeking year-end gifts from those who wish to help make a difference in the lives of local college students in need of financial assistance. The SSCF Scholarship Donor Drive will continue through the end of the year, providing both a charitable gift opportunity and tax-deduction for all donors. This support provides scholarship assistance each year to many students who otherwise would be unlikely to begin or complete their college education. One-hundred percent (100%) of Donor Drive donations benefit scholarship and student assistance funds. Whether it is a high school graduate, an unemployed resident looking for a career change, or a single parent pursuing their college degree for the first time, the SSCF offers scholarship assistance to all students in need. Many are struggling to balance family, employment, and school responsibilities while they are often unable to receive Financial Aid. Scholarship money is provided primarily through this annual fall Scholarship Donor Drive. All scholarship contributions to the SSCF are tax deductible (TIN: 23-7191738). The SSCF staff works cooperatively with individuals and organizations to develop a donor plan of any level. New scholarships can also be established with a $1,000 donation. At SSC, 90% of students fall under the low income, first generation or disabled criteria. The SSCF once again awarded over $100,000 in total awards to these students in 2017, and has now granted over $1.9 million since 1987. For more information, please contact the Foundation Office at (708) 596-2000, ext. 2463 or foundation@ssc.edu. 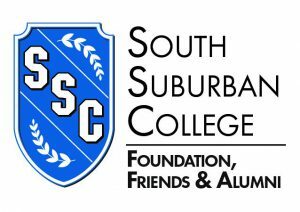 SOUTH HOLLAND, IL – The South Suburban College Foundation (SSCF) is seeking year-end gifts from those who wish to help make a difference in the lives of local college students in need of financial assistance. The SSCF Scholarship Donor Drive will continue through the end of the year, providing both a charitable gift opportunity and tax-deduction for all donors. This support provides scholarship assistance each year to many students who otherwise would be unlikely to begin or complete their college education. One-hundred percent (100%) of Donor Drive donations benefit scholarship and student assistance funds. Whether it is a high school graduate, an unemployed resident looking for a career change, or a single parent pursuing their college degree for the first time, the SSCF offers scholarship assistance to all students in need. Many are struggling to balance family, employment, and school responsibilities while they are often unable to receive Financial Aid. Scholarship money is provided primarily through this annual fall Scholarship Donor Drive. All scholarship contributions to the SSCF are tax deductible (TIN: 23-7191738). The SSCF staff works cooperatively with individuals and organizations to develop a donor plan of any level. New scholarships can also be established with a $1,000 donation. Donations may be made online at www.ssc.edu/foundation, via PayPal to foundation@ssc.edu or mailed to: “SSC Foundation” 15800 S. State Street South Holland, IL 60473 At SSC, 90% of students fall under the low income, first generation or disabled criteria. The SSCF once again awarded over $100,000 in total awards to these students in 2017, and has now granted over $1.9 million since 1987. For more information, please contact the Foundation Office at (708) 596-2000, ext. 2463 or foundation@ssc.edu.